No. 55, Jalan Alam Jaya 1, Taman Perindustrian Alam Jaya, 81500 Pekan Nanas, Potian, Johor, Malaysia. 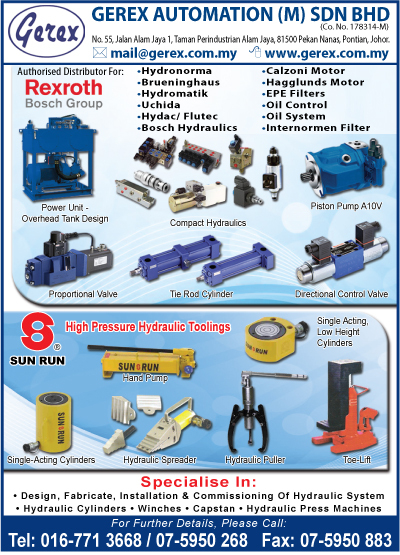 GEREX AUTOMATION (M) SDN BHD, was formed in 1989 as an engineering company specializing in Hydraulic & Pneumatic Systems and Components, Factory Automation Systems and other industrial products.